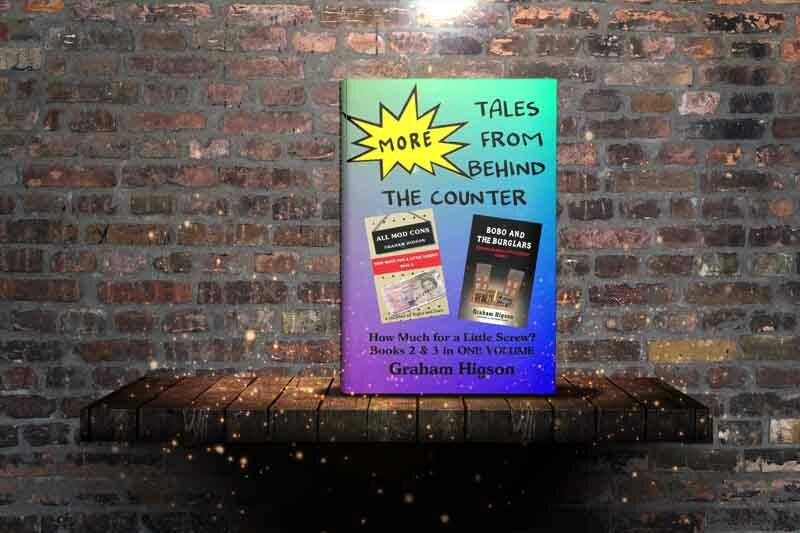 More exploits of hardware man and troubleshooter extraordinaire from Books 2 and 3, presented as a single standalone novel. A gang of roaming conmen and women descend upon Little Sniffingham and threaten to strip and plunder, sparing no one. More details. 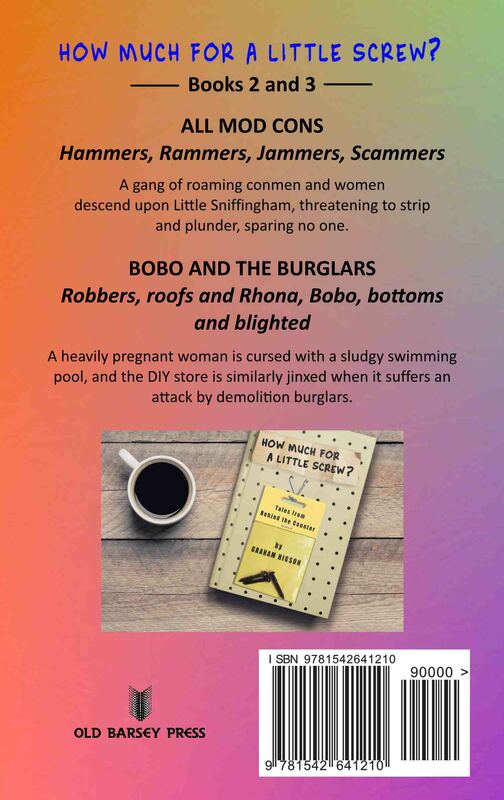 A heavily pregnant woman is cursed with a sludgy swimming pool, and the DIY store is similarly jinxed when it suffers an attack by demolition burglars. More details. Equel is a new term, similar in use to prequel and sequel, and describes a narrative that runs alongside the timeline of an existing story. 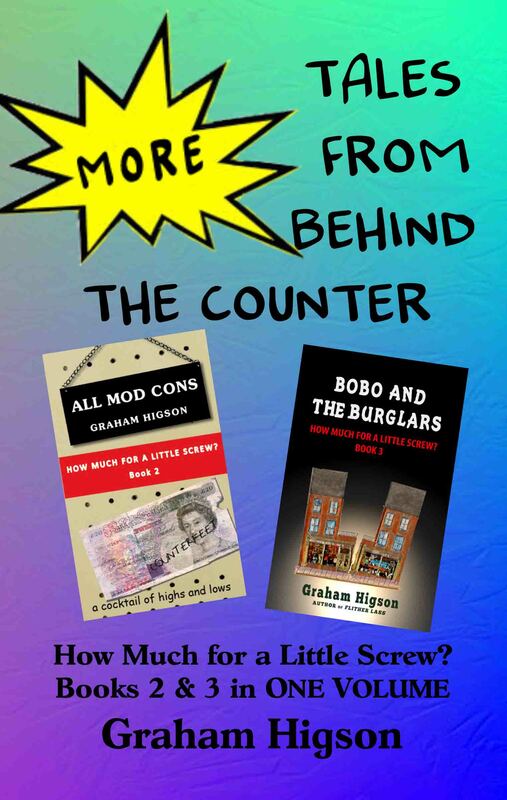 More Tales From Behind the Counter would fit between chapters 13 and 14 of How Much for a Little Screw? 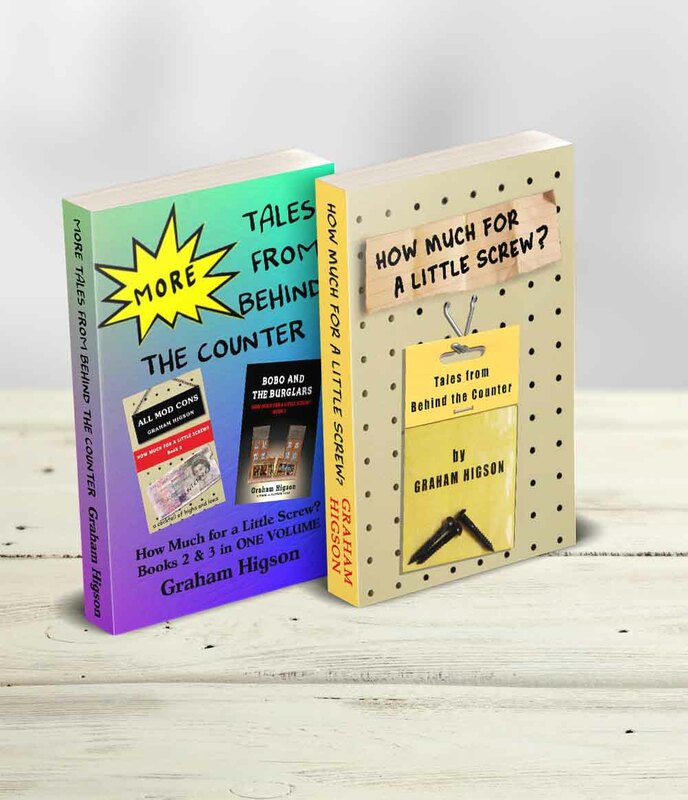 With Little Screw I was conscious of not putting all the available stories in one book, which I think would have made it too long and would have effectively diluted its main theme, so I thought that writing "episodes" would work, which take place at various points alongside the full-length book, whilst being complete in themselves.